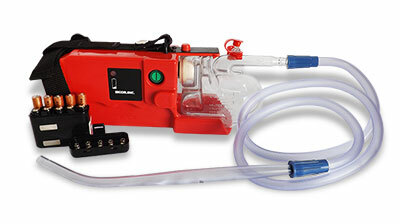 Portable aspirators are an important tool in every first responder’s kit. They’re the first line of defense against aspiration and respiratory obstructions. Yet no medical procedure is without risk, especially with inadequate training or a rushed approach to care. First responders must continually drill the use of portable aspirators so that they're prepared to intervene in an emergency; otherwise, patients can suffer from preventable iatrogenic injuries, some of which can even prove life-threatening. Individualized treatment, thoughtful and comprehensive assessment, and skillful use of portable aspirators can greatly reduce the risk of injury. 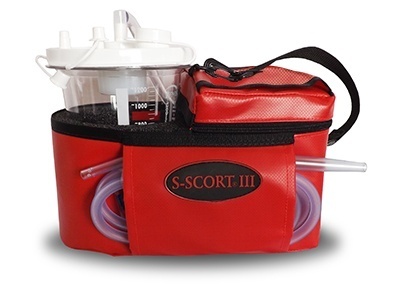 The wrong suctioning technique can injure the airway with abrasions, contusions, and more severe traumatic injuries. Injuries are more likely when a provider cannot see the airway, rushes through the procedure, or uses a catheter that is too large. Children face a higher risk of airway trauma because of their small airways. Changes in muscle tone and airway shape can also affect geriatric airways, increasing their risk of injury. 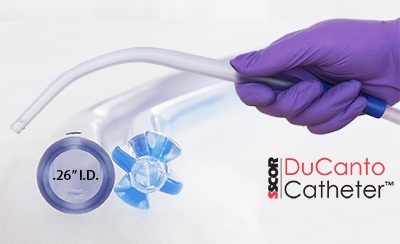 To reduce the risk of injury, choose a suction catheter with an external diameter that is no more than half the size of the endotracheal tube internal diameter. Ensure you can see the airway and that the patient is appropriately positioned for suctioning. Sudden movements in the patient also increase risk, so ensure the patient is able to lie still during the procedure. In some patients, tracheal suctioning triggers a vasovagal reflex that lowers blood pressure and/or heart rate. Preoxygenation can prevent bradycardia. Avoiding extended suctioning is also important, since hypoxia may trigger a drop in heart rate. EMS professionals should be mindful of the risks of vasovagal stimulation, particularly in cardiac patients and others for whom a drop in heart rate can be dangerous. Perhaps the biggest risk of all is that suctioning will fail. 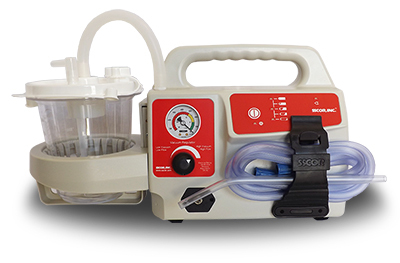 Ineffective suctioning can lead to hypoxia, aspiration, cardiac arrest, and even death, depending on the condition for which the patient is receiving suctioning. 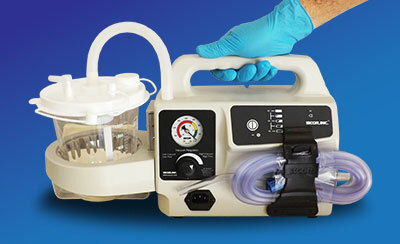 Some suction machines fail to deliver consistent suctioning, losing power over the course of suctioning. Likewise, suctioning can fail when the right equipment is unavailable, such as when there is no backup battery or a first responder can’t find appropriate tubing. Storing equipment together in an easily accessible location is more than just good organization; it’s proper patient care. 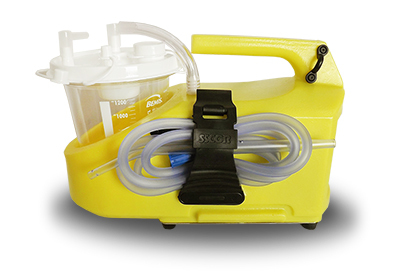 Every agency needs a quality portable aspirator. 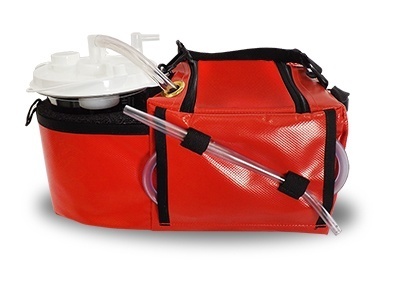 Portability allows you to immediately go to the patient, offering life-saving care. 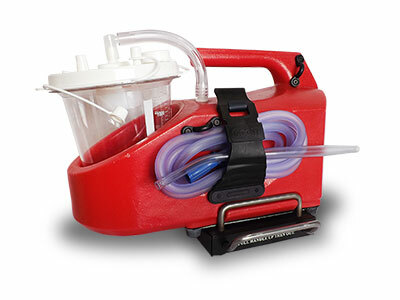 For help choosing the right portable machine for your needs, download our free guide, The Ultimate Guide to Purchasing a Portable Emergency Suction Device.